The Perfect Cleanse is a kit of juice powders that will satisfy you and energize you. You will get enough food and energy to go about your daily tasks all while your body is cleansing. The kit is enough for 15 full days of cleansing. Away Your Toxins and Fat Will Leave! it will be easier for us to lose weight. The Perfect Cleanse is gluten-free, dairy-free, soy-free, pure good organic juice and vegetable powders packed with nutrition but with no added sugar, no artificial flavorings or preservatives. Take a break from your regular diet and kick your cravings out of your life. Try the pure and clean Perfect Cleanse for 5 days. You will be pleased by how good you can feel. But Don’t Have Time to Slow Down? Water fasting does get rid of toxins, but it’s too fast and too harsh. And you can’t go full speed while only drinking water. The Perfect Cleanse gives you energy even while you are doing major cleansing and detoxification. Why is the Perfect Cleanse Better? The Perfect Cleanse is a great value. We provide top-quality organic whole food juice powders in the most convenient form possible. Also, we have studied the science and designed this program so that you can maximize your results while doing this cleanse. What is in the Perfect Cleanse? Each product included in the Perfect Cleanse kit is made from the highest quality, organic juice and whole food ingredients. They work symbiotically to provide nutrition while cleansing the body of toxins. Click on each one below to learn more about their individual benefits. BarleyMax is dehydrated juice from organically grown young barley grass and alfalfa. Juicing removes all the fiber, leaving nothing but liquid and nutrition from the plant. Using a patented drying process, finely strained juice from these grasses is gently dehydrated at low temperatures (below 107°F) to lock in nutritional potency, retain the living enzyme activity and protect heat sensitive nutrients.BarleyMax is included to provide your body with a broad spectrum of nutrients that help detoxify, alkalize, and energize you. The antioxidants in BarleyMax help your body defend itself against free radical damage. BarleyMax is a living food for a living body. CarrotJuiceMax is the only enzymatically active carrot juice powder available anywhere. This non-heated organic product supplies your body with the therapeutic value of organic carrot juice – energy and essential vitamins, minerals, antioxidants, and enzymes. CarrotJuiceMax is included because carrot juice is an ideal rich source of naturally occurring alpha-carotene and beta-carotene, which give your skin a natural healthy glow. TrioMax is a combination of three powerful organic juice powders: BarleyMax, BeetMax and CarrotJuiceMax. BeetMax provides your body nutrients for cardiovascular, digestive and circulation health. TrioMax is also a delicious way to get more greens and beet juice. TrioMax is included to provide you with beneficial nitrates from beets and carrots that improve cardiovascular health. Beets are excellent for the liver, so no cleanse is complete without beets. Organic Advanced Superfood is made with over 30 organic ingredients including 100% organic blend of cereal grass juice powders, leafy greens, microalgae, sprouts, prebiotic fibers, sea vegetables, and rare organic vegetables. Advanced Superfood is formulated to support a healthy microbiome teeming with beneficial probiotic bacteria. Advanced Superfood is included to conveniently provide you with a wide variety of vegetables. This gives you a huge range of phytonutrients that help with optimizing health. And it tastes great, too. B-Flax-D is a fortified organic cold-milled flax seed powder. Flax seed is an excellent source of omega 3 fats, minerals and soluble and insoluble fiber. B-Flax-D is fortified with vitamin B12, vitamin D3, selenium vitamin K2, vitamin B6 and zinc. B-Flax-D is included to give you energy, a bunch of nutrition and fiber to fill you up so you aren’t hungry. The fiber also binds up toxins as you cleanse and helps shuttle them out of your body in a timely manner. ModCarb™ is a very fine, colloidal powder of six ancient grains—oats, amaranth, buckwheat, chia, millet and quinoa. ModCarb™ is certified gluten free. ModCarb™ is included to provide you sustained energy. It is a very, very fine powder and makes all of our drinks silky smooth. Fiber Cleanse contains a balanced blend of 28 cleansing herbs in a psyllium and flax seed base to help you cleanse the colon, restore optimal bowel function, and ensure timely elimination of toxins from the body. Rather than reabsorbing toxins, get them out with Fiber Cleanse. Fresh avocados are a rich source of beneficial monounsaturated fat. By including avocados the absorption of alpha-carotene and beta-carotene and other carotenoids is increased several fold. Avocados are included as a great energy source while cleansing, keeping your energy levels up and even-keeled. They can be blended into the drinks or eaten separately with a dash of unrefined sea salt. Is Doing a 5-Day Cleanse Too Hard? Even though our cleanse is simple, easy to implement, and filling, it may seem drastic to you. However, compare this to chronic disease, never-ending pain, and medical treatment for these diseases, which entails a lot more discomfort, waste of time, your energy and your money. You can do this! But if you don’t change your ways the negative health you will experience will make 5 days of gentle cleansing seem like a picnic. You are worth investing in. Take care of yourself. The Perfect Cleanse costs about 1/3 as much as other mail order juice cleanse programs. What you pay for a single 5-day mail order cleanse is enough to cover the whole kit for 15 full days of cleansing. The Perfect Cleanse is the most convenient way to cleanse. It is very flexible and can fit into your schedule. 3 5-day cleanses, or 5 3-day cleanses. Start when you want, stop when you need to. Our juice powders are made from premium organic ingredients, harvested at the peak of freshness and preserved very carefully at low temperatures to ensure the nutrition (including vitamins, minerals, essential oils, phytochemicals and enzymes) are all intact and bioavailable to you. The low temperature processing has been verified by enzymatic activity testing at the Raw Food Lab. The fasting mimicking diet upon which our program is based is solid, tested and yields great results in lab animals and in people. We get the results of water fasting without the pain and discomfort. During fasting your body finds energy by consuming weak, damaged, malfunctioning cells and cellular components and recycles them for protein and energy. Your organs get a bit smaller. Upon eating again your body sends out a surge of stem cells to rebuild your organs to full size. Your organs are rebuilt, but now they are healthier and have a lot fewer damaged cells. Use this amazing design to your advantage. Get the Perfect Cleanse NOW! Have a question? Check out these FAQs. A juice cleanse is a temporary restricted diet based on fresh fruit and vegetable juice. It may last from one day to several days or even for extended periods in special situations. The idea is to allow the body time and energy to be free of digesting food so that it can put more energy into repair and getting rid of toxins. It is one form of fasting. How is the Perfect Cleanse different from other cleanses? First, our cleanse is based on the concept of fasting-mimicking diets. We are following a scientifically sound low-protein model which allows the body to unleash the fasting metabolism of water fasting without all of its discomforts and inconveniences. Second, we include enough fiber in the program to ensure cleansing, which is lacking in many juice cleanses. Why is there more than just juice on the Perfect Cleanse? 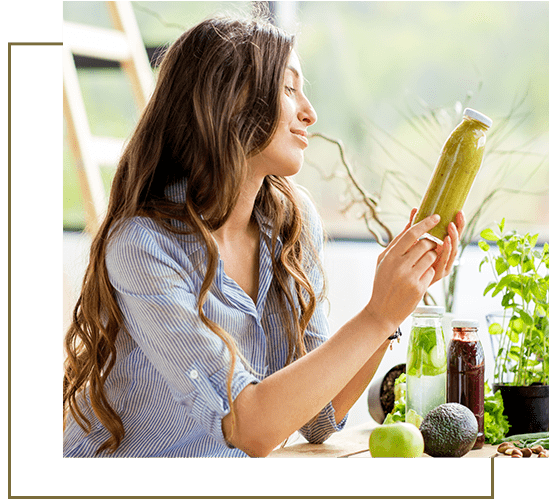 While the majority of the ingredients for the cleanse are organic juice powders, we have added avocados and fiber to make this cleanse scientifically sound and deliver the most benefits from your time. As you detoxify you need to clear out your detoxification pathways, especially your bowels. Without fiber much of the toxins will get reabsorbed into your system. Also, the fiber helps you feel full rather than empty and hollow. The fiber will also feed beneficial bacteria in your gut, promoting balance and wellness, beginning in the gut. Adding fiber to the juice cleanse makes this a much superior cleanse. How is the Perfect Cleanse different from other forms of fasting? You may have heard of juice fasting, intermittent fasting, smoothie fasting, a master cleanse, mono fasting or water fasting. Although each of these forms of fasting or cleanses have their own unique advantages and disadvantages, we have discovered there is an even better way to remove diseased cells and release your own stem cells to rebuild and restore your body. It is a form of fasting clinically called a fasting mimicking diet. We believe this this a life-changer in terms of health, as it offers a superb scientifically proven way to cleanse your organs in a way that even the best diet on earth could not do alone. One of the best features of the fasting mimicking diet is that it includes around 800 to 1000 calories a day. This means that most people can easily carry out their daily functions and never miss a beat. All the while, their body is cleansing through a process called autophagy. This type of fast is very doable for most people. 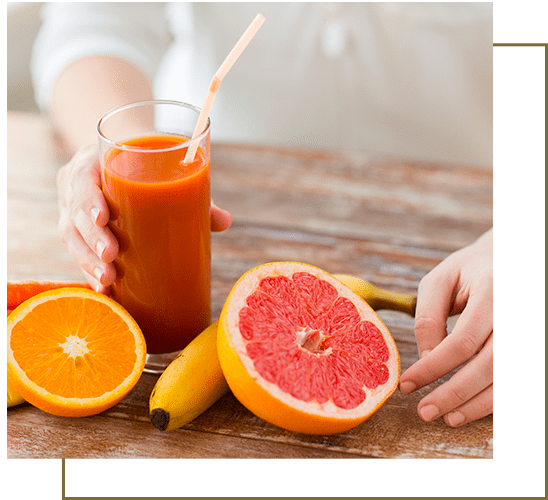 Because of the kind of foods and the nutrient dense juice powders utilized in this fast, the body should easily be able to carry out regular work and activities. The juice powders feed you, the avocados and flax seeds give you some energy, and the fiber keeps you from feeling hollow and empty. If you are ready to do what it takes for an ultimate cleanse and to release your body's best wisdom for healing itself, this program helps you do just that. 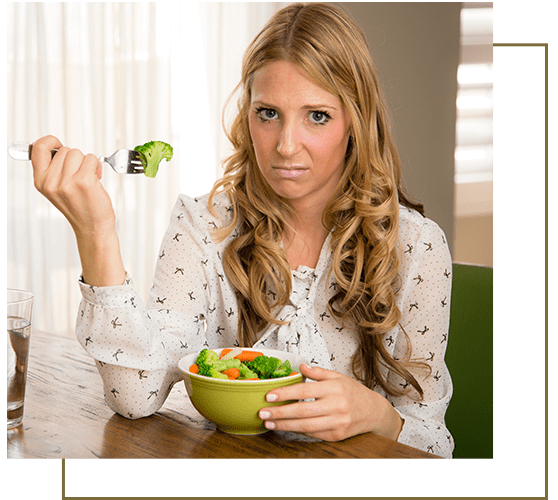 Why isn’t a clean plant-based diet enough? Fasting is a powerful health technique that cannot be replaced with anything else. During fasting your body cleans up damaged, malfunctioning cellular components and diseased cells and recycles them for energy and protein. This is called autophagy. You are not eating to cover your energy needs, so your body “eats” itself to keep functioning, picking off the damaged debris first. Gradually over days, your organs get smaller. Then when you start eating again your body releases a flood of stem cells to rebuild your organs to full size. So you regain most of the lost weight, but you have healthier cells and organs than you had before you started the fast. By repeating this cycle over and over you end up with better health. Will cleansing help with my X, Y or Z health condition? Individual results vary considerably, but a fasting mimicking diet (FMD) has been helpful. In a randomized controlled trial of 100 people, the risk factors and biomarkers for diabetes, cardiovascular disease, cancer and aging all improved with 3 cycles of the FMD. Those individuals who were at greater risk received greater benefit from the FMD, often enough benefit to normalize elevated fasting glucose levels, normalize C-reactive protein and inflammation, and reduce IGF-1 growth factor concentrations to levels that are more in line with healthy aging. Multiple sclerosis has been reversed in mice. Type 1 diabetes has been reversed in mice and in human islet cells, making their β-cells in their pancreases secrete insulin again. Tumor progression has been halted in mice using a combination of the FMD and chemotherapy. The FMD stresses the tumor in a way that it cannot defend itself against the chemotherapy as well as normal and also boosts immune activity, sending in a wave of tumor-infiltrating lymphocytes which kill cancer cells. There are a lot of potential benefits to the FMD type of cleansing. Only by trying will you know how well it will work for you. Are there some people who should not do this cleanse? Yes, this juice cleanse is for people in generally good health between the ages of 20 and 70. With medical supervision many people suffering from diseases can also participate in a gentle cleanse. Diabetics and people taking insulin or oral diabetic drugs should not do this cleanse. While fasting your medication could drastically lower your blood sugar, causing hypoglycemic reactions and even death. Elderly people in frail health should not do this cleanse, but rather follow the Hallelujah Diet for restoration of health. What will I gain by cleansing? What will I lose? You will gain a more efficient metabolism by cleansing. Your body will function better internally. You may lose a small amount of weight each type you do a cleanse, but weight loss itself isn’t the goal. Autophagy is the mechanism of healing that we are looking for. Will I lose weight? Will it stay off? Permanent weight loss depends on long-term habits more than short term cleansing. A cleanse may help you “reset” your taste buds and appetite, leading to better food choices. During cleansing people have to face their emotional ties to food as well. Why do you eat and when? Is that a proper response to stress? Is there a better way to respond? Answering these questions can lead to permanent weight loss. Will I be hungry while cleansing? It is unlikely that you will be hungry. During the Perfect Cleanse the drinks contain generous amounts of the most nutritious juice powders available, along with ModCarb™ that provides slow burning carbohydrate nutrition and B-Flax-D’s fat from flax seeds. Even though you are eating less, you will be getting more nutrition than most Americans get with many more calories. Should I take fiber while doing the Perfect Cleanse? No, you won’t need extra fiber. Fiber is important while cleansing to ensure timely elimination of bodily waste. We include Fiber Cleanse along with B-Flax-D in the cleanse, so we have you covered already on the fiber issue. Why don’t I need much protein during cleansing? Ideally you should consume a low protein diet while cleansing because this allows your fasting autophagy metabolism to fully engage. Protein intake will raise insulin levels and also IGF-1 growth factor signaling. Your body will get signals to store and build rather than cleanse and purify. We have intentionally designed the Perfect Cleanse to be as low as possible in protein while still using whole foods. Can I eat anything else while cleansing? If you are especially hungry during the cleanse eating a fatty food that is low in carbohydrate and protein is ideal. Avocados are a great idea. A piece of fresh fruit, or a serving of berries, would also be acceptable, as they are low in protein and the sugars will have minimal impact. In a social dinner setting you could order a salad with oil and vinegar dressing, no croutons, and be OK, too. What else do I need to do the Perfect Cleanse? All you need is purified water and 2 avocados a day. Once your avocados get ripe, you can make them last longer by storing them in the fridge. If you are taking medications you should consult your health care provider before doing the Perfect Cleanse. There may be interactions between fasting and your medications. It depends. A multivitamin / mineral supplement is fine to take. Fish oil is a great idea, as well as vitamin D3/K2, B12/B6/folate and iodine. Herbal supplements that affect your blood sugar should be monitored very closely or temporarily stopped. We cannot offer professional advice on all supplements, so consult a trusted knowledgeable health care provider about your specific situation. How often should I do the Perfect Cleanse? We recommend initially doing it monthly for 3 cycles. After that, quarterly, or 4 times a year may be enough to keep you in shape. Twice a year may maintain optimal health. What should I eat when I finish my cleanse? Start slowly when breaking your cleanse. Don’t start with a heavy protein meal. We recommend a plant-based diet that is full of fresh fruits and vegetables, like the Hallelujah Diet. Even if you go back to your usual diet you will have gained benefits from the cleansing process. But, you should take advantage of the opportunity to change your taste buds and increase your intake of fruits and vegetables to boost your health to the next level. Is there scientific proof that this works? 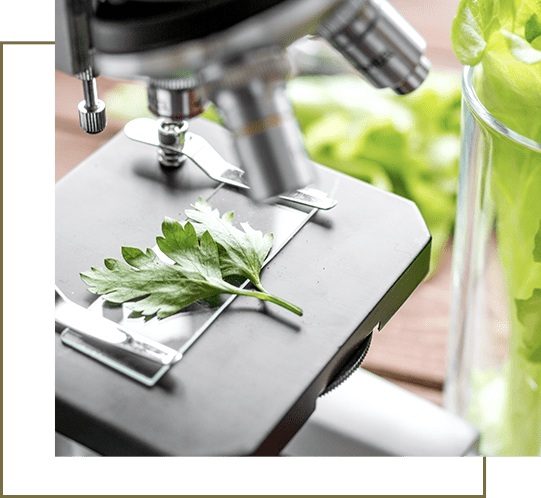 The connection between the Perfect Cleanse with a fasting mimicking diet (FMD) puts you on solid scientific footing while following our cleanse. Fasting-mimicking diets (FMD) have been tested in animals and people with great results. Some pilot studies have been completed in people, but a lot more has been demonstrated in animal models of human disease. Multiple sclerosis has been reversed in mice. Type 1 diabetes has been reversed in mice and in human islet cells, making their β-cells in their pancreases secrete insulin again. Tumor progression has been halted in mice using a combination of the FMD and chemotherapy. The FMD stresses the tumor in a way that it cannot defend itself against the chemotherapy as well as normal and also boosts immune activity, sending in a wave of tumor-infiltrating lymphocytes which kill cancer cells. In a randomized controlled trial of 100 people, the risk factors and biomarkers for diabetes, cardiovascular disease, cancer and aging all improved with 3 cycles of the FMD. Those individuals who were at greater risk received greater benefit from the FMD, often enough benefit to normalize elevated fasting glucose levels, normalize C-reactive protein and inflammation, and reduce IGF-1 growth factor concentrations to levels that are more in line with healthy aging. The Suggested Daily Schedule for Drinks and Directions. Add almost 2 cups of cold water to a blender. Add in 1/3 of a small avocado, or ¼ of a large avocado. Then add in the powder for your next drink. Blend until mixed. Take the Fiber Cleanse capsules with your 1st and 3rd drinks. Add almost 2 cups of cold water to a blender. Add in 1/3 of a small avocado, or ¼ of a large avocado. Add in 1 Tbsp ModCarb. Take 4 Fiber Cleanse capsules with your 1st and 3rd drinks. Make a drink every 2 to 2 ½ hours. * Includes 29 g/day of dietary fiber. **Disclaimer: Nothing contained on this Site is intended to provide health care advice. Should you have any health care-related questions, please call or see your physician or other health care provider. Consult your physician or health care provider before beginning the Perfect Cleanse as you would any other weight loss or weight maintenance program. Individual results may vary. Testimonials appearing on this website are received in various forms via a variety of submission methods. The testimonials reflect the real life experiences of individuals who used our products and/or services. However, individual results may vary. We do not claim, nor should the reader assume, that any individual experience recounted is typical or representative of what any other consumer might experience. Testimonials are not necessarily representative of what anyone else using our products and/or services may experience.